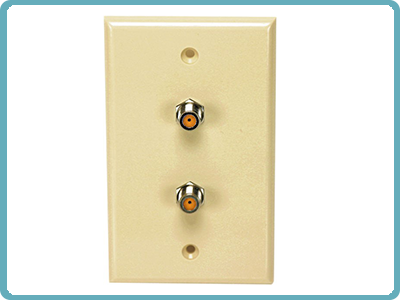 This ivory, high frequency wall plate comes with one HF F-81 barrel connector, is UL certified and fits all standard outlet boxes or mud plates. It is built to SCTE standards and provides a reliable service connection. DIRECTV DISH NETWORK approved.